Control your grow room temperature and humidity with a range of fan heaters, tube heaters, radiators, thermometers and humidity controllers. If you’re struggling from a dry environment with low humidity (RH), which should be around 60-70% during veg growth, and 30-40% during flowering, then the RAM Ultrasonic Humidifier could be the perfect addition to your grow room to get humidity levels at there optimum. The Smart Gro Ultrasonic Humidifier gives an easy, energy efficient way of creating the perfect indoor grow room environment. Using a humidifier allows you to harmonise the temperature and humidity to ensure your plants are growing strong and healthy, allowing vigorous growth. Smart Gro Oil Filled Radiators are the perfect way to keep cold air out of your grow room, without drying the air as a conventional fan heater would. 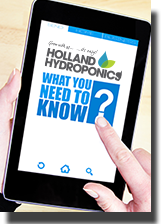 The portable design makes the heaters easier to move around without having to disturb the rest of your grow room. This digital Thermo-Hygrometer will accurately measure the temperature in either Celsius or Fahrenheit, along with humidity levels in RH (%), while the probe allows readings to be taken at canopy and root level simultaneously.